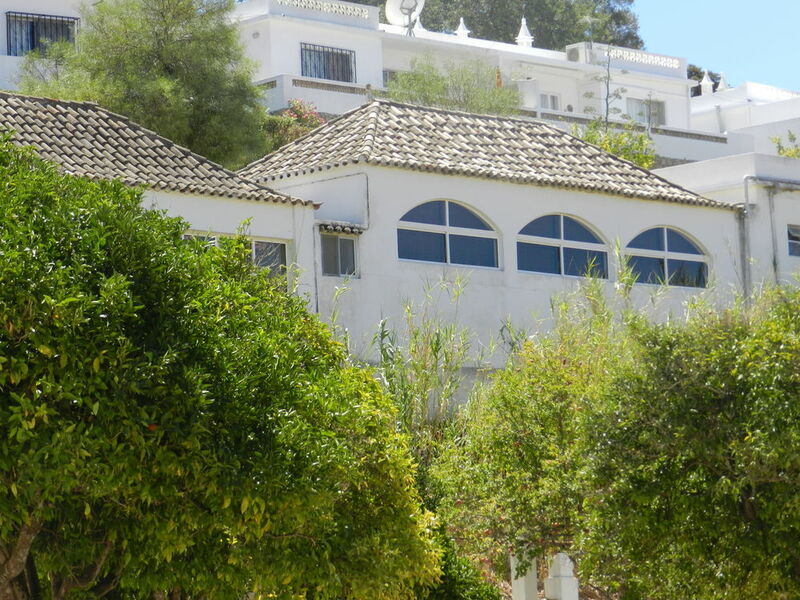 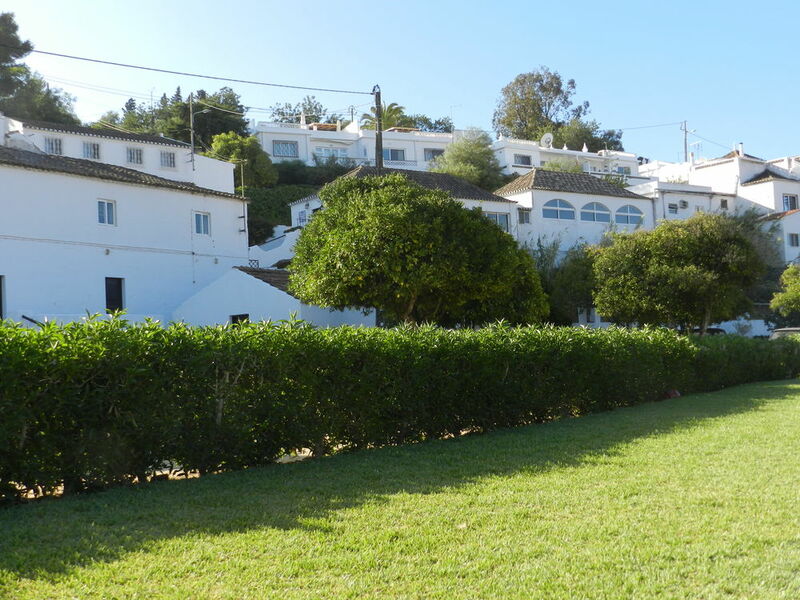 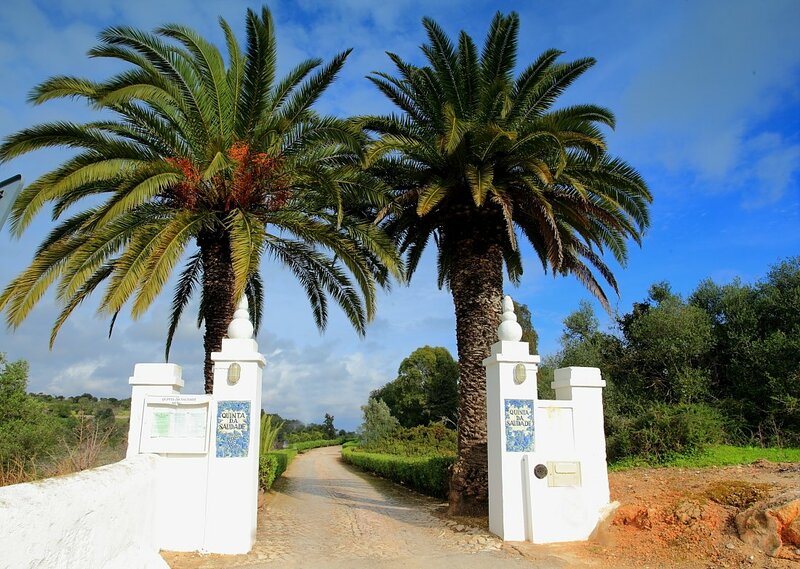 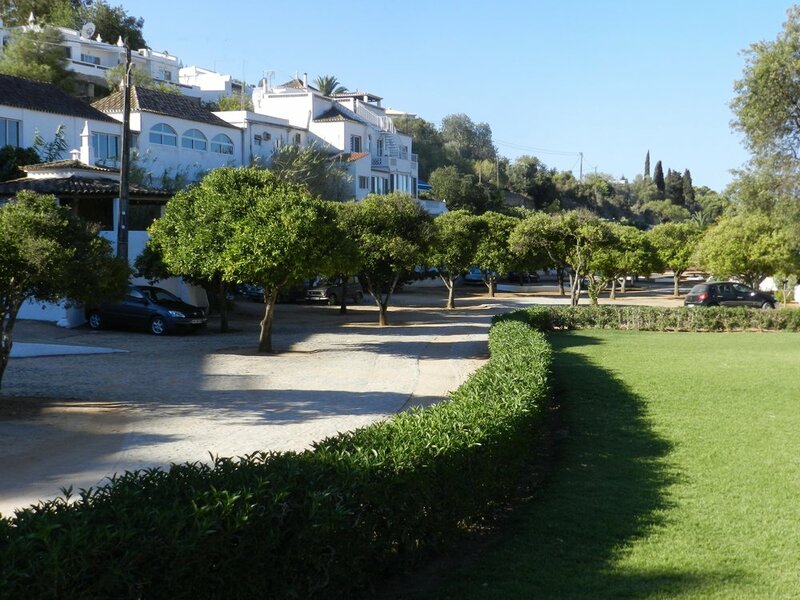 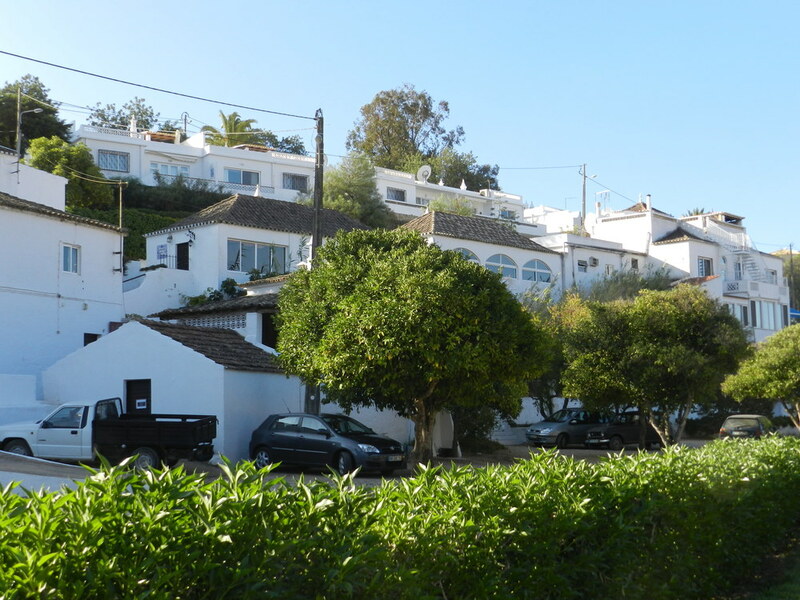 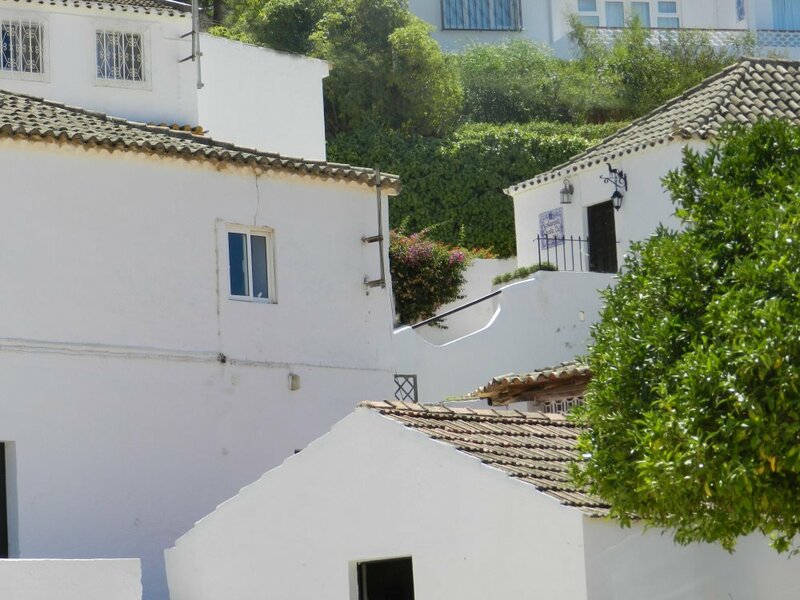 Quinta da Saudade is an exclusive privately owned estate constructed around an old Portuguese farmhouse located five miles west of Albufeira and just one mile from the sea and the Salgados Golf Course. 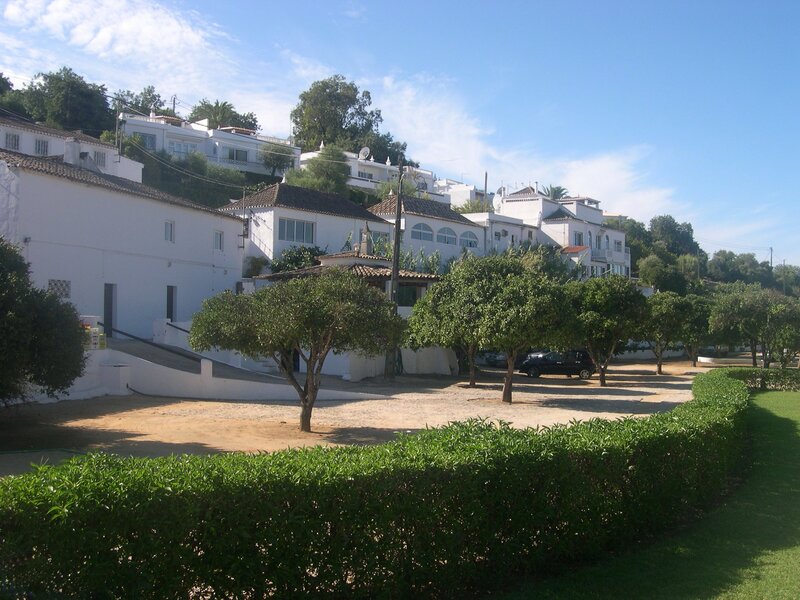 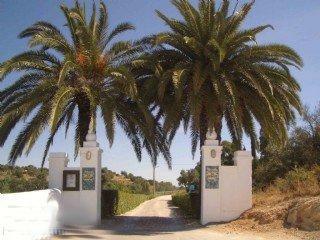 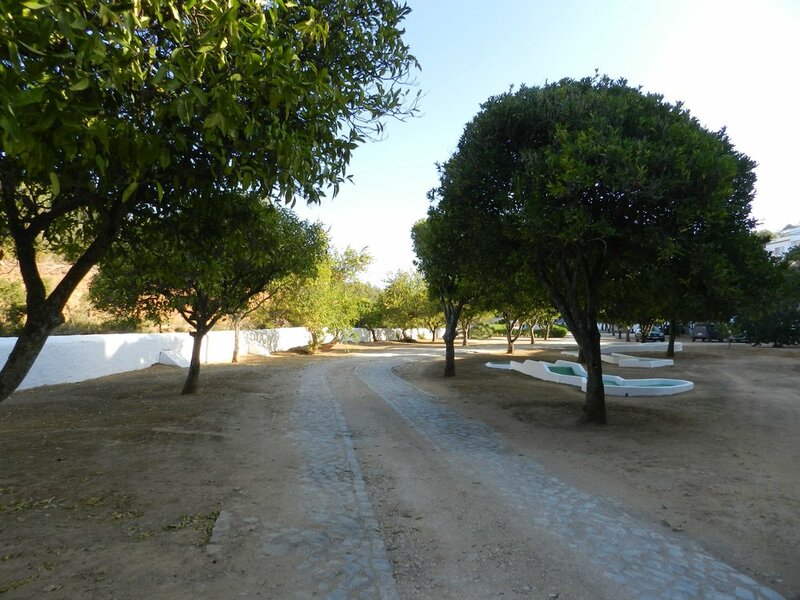 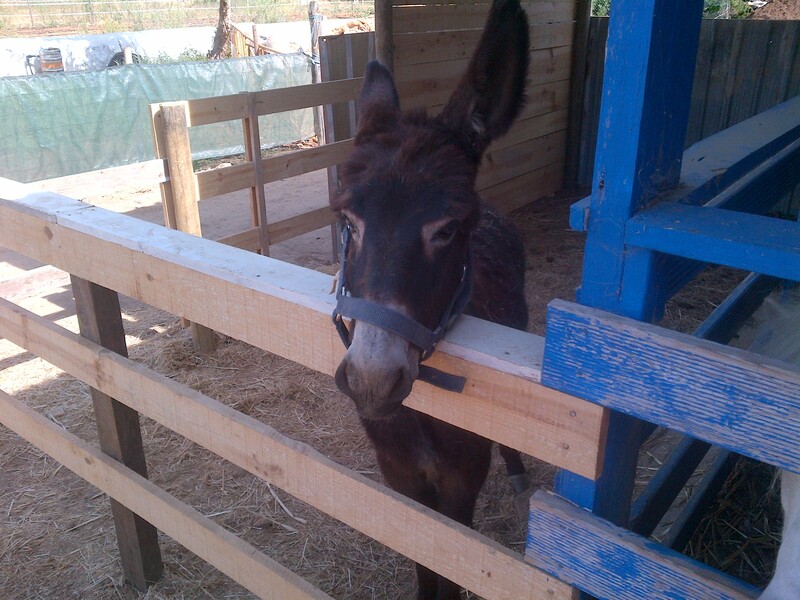 The comprehensive facilities of the Quinta provide all of the essential ingredients for a relaxed holiday. 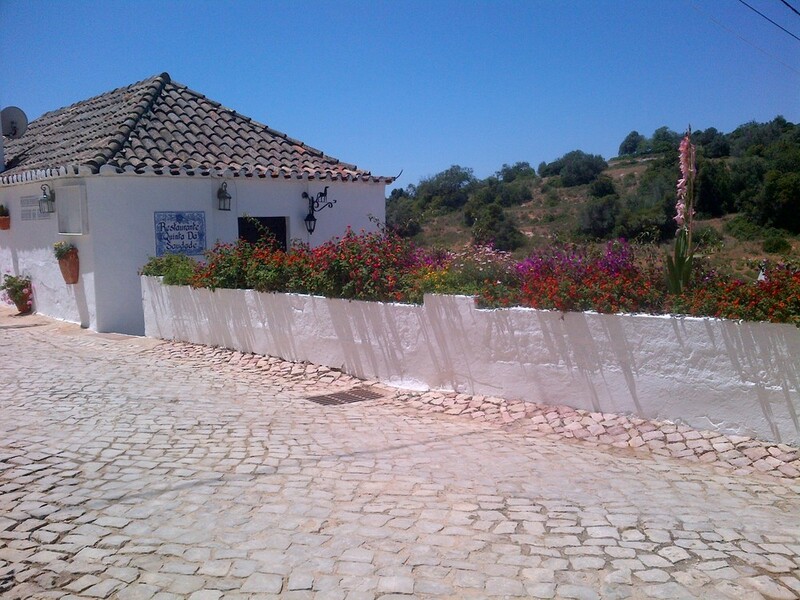 The original farmhouse has been converted into a restaurant which, in addition to a varied a la carte menu, offers a specialist vegetarian choice. 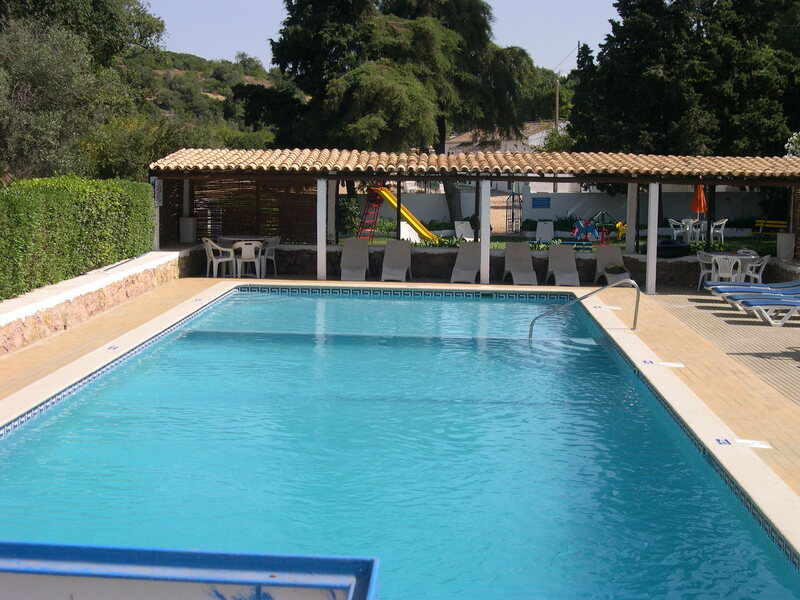 The Quinta has two beautiful pools, a toddlers’ pool and play area, and a poolside bar offering a good range of lunchtime snacks. 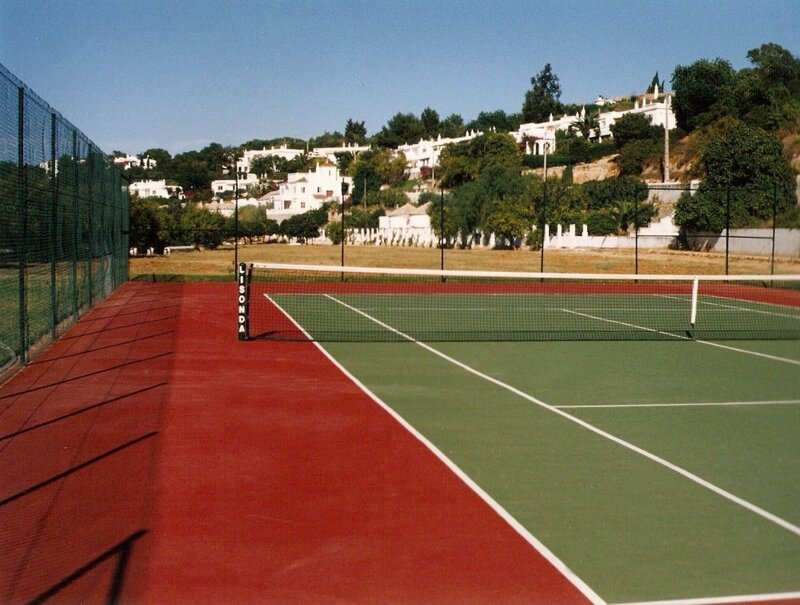 There is also an all weather tennis court that can be hired by the hour. 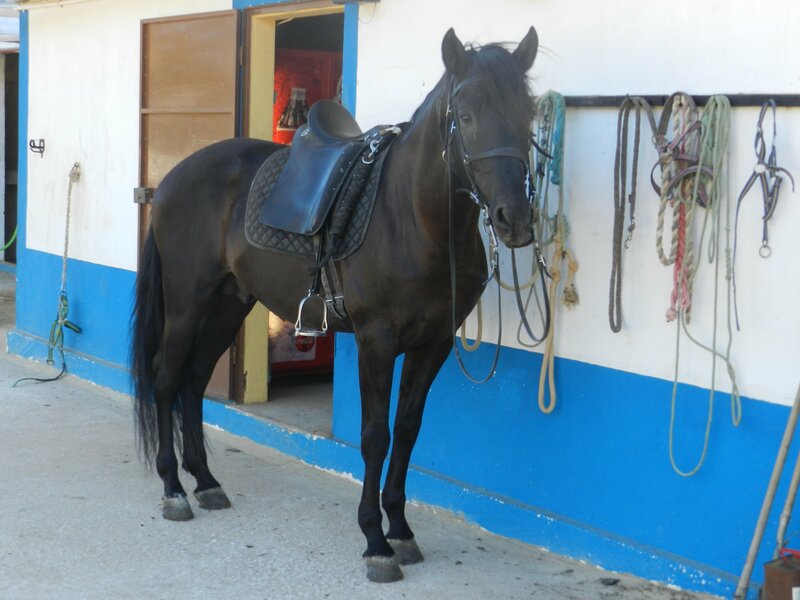 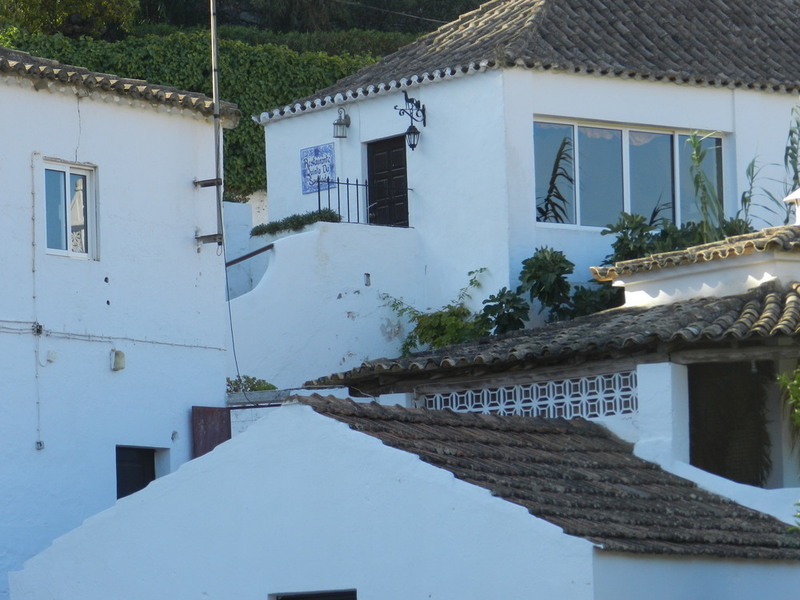 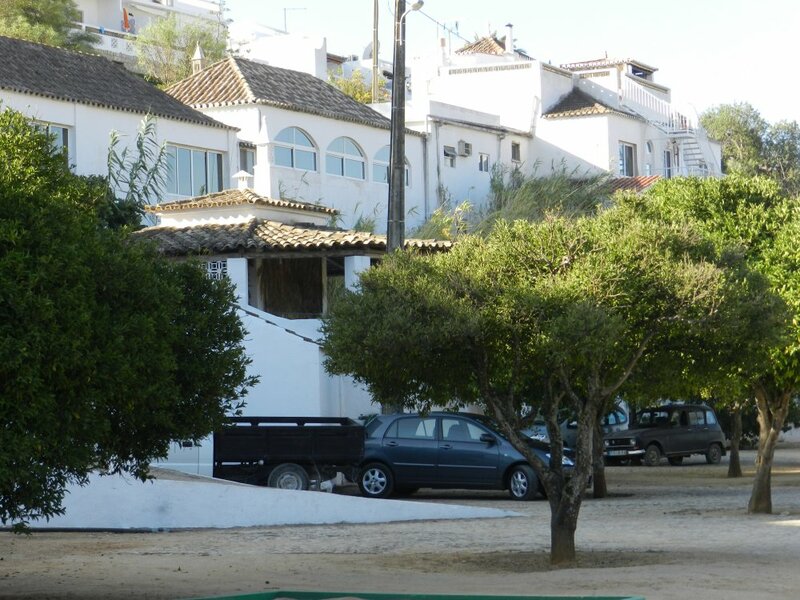 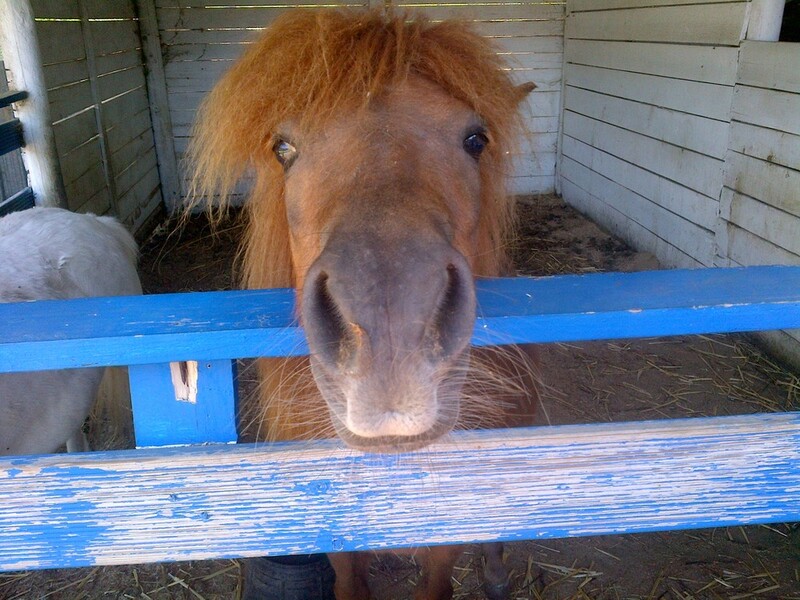 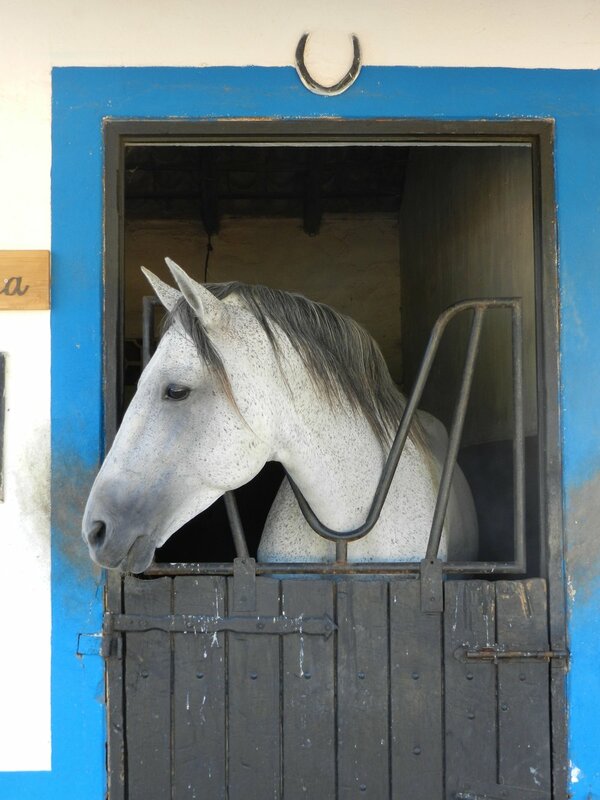 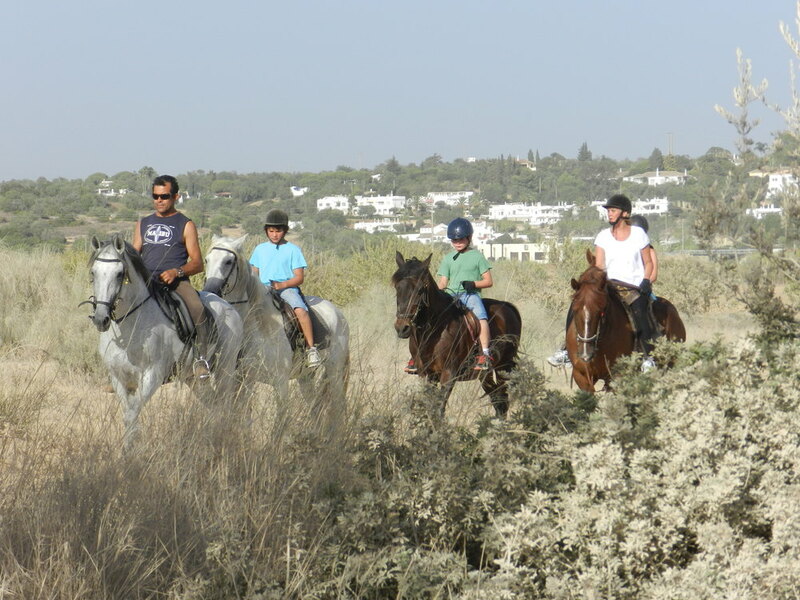 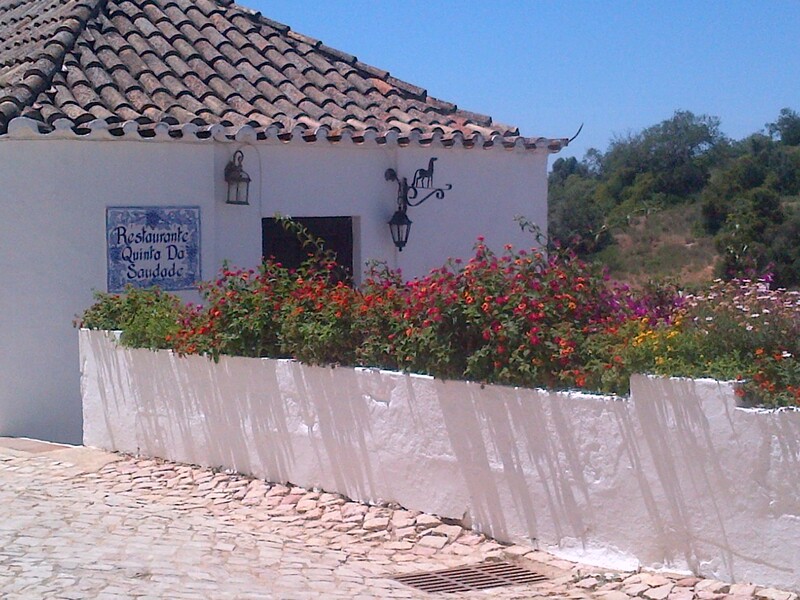 There are Riding Stables at the Quinta with fabulous horses that can be taken out for gallops across the dunes or slow hacks through the countryside. 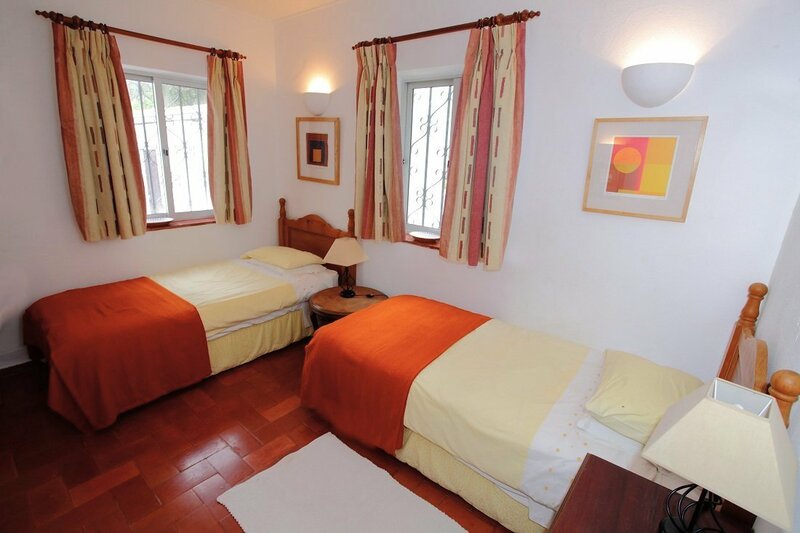 Accommodation consists of two bedrooms and two bathrooms. 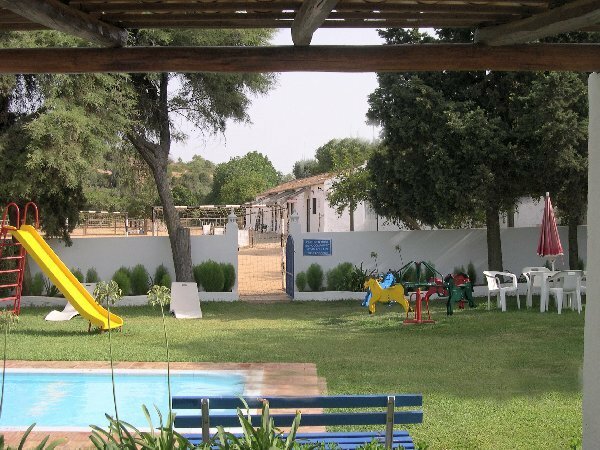 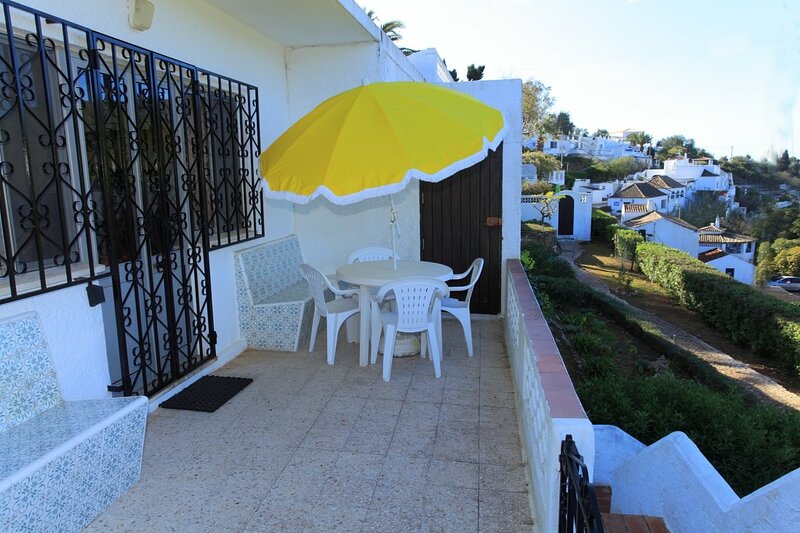 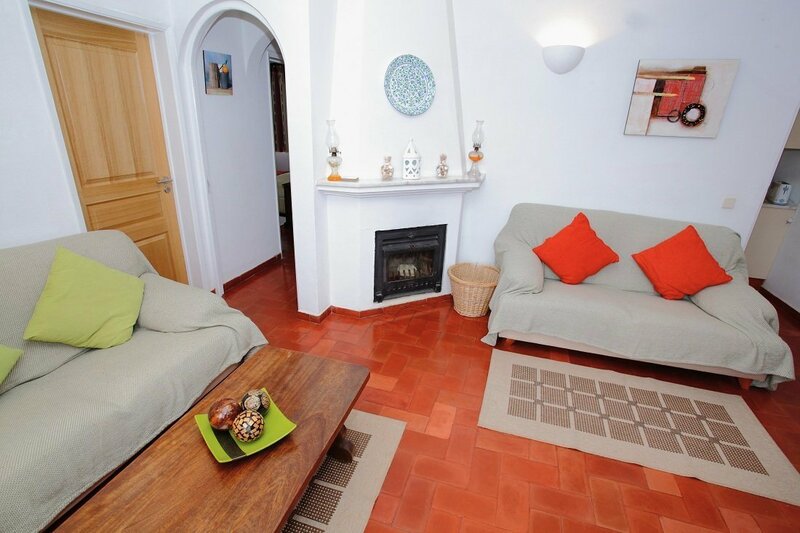 The villa sleeps a maximum of four adults but we can add an extra bed or cot if required. 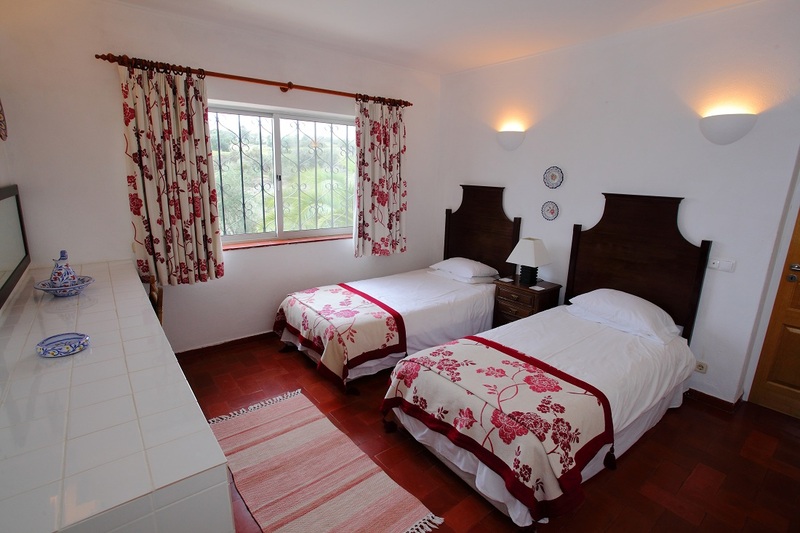 There is plenty of wardrobe space in the bedrooms. 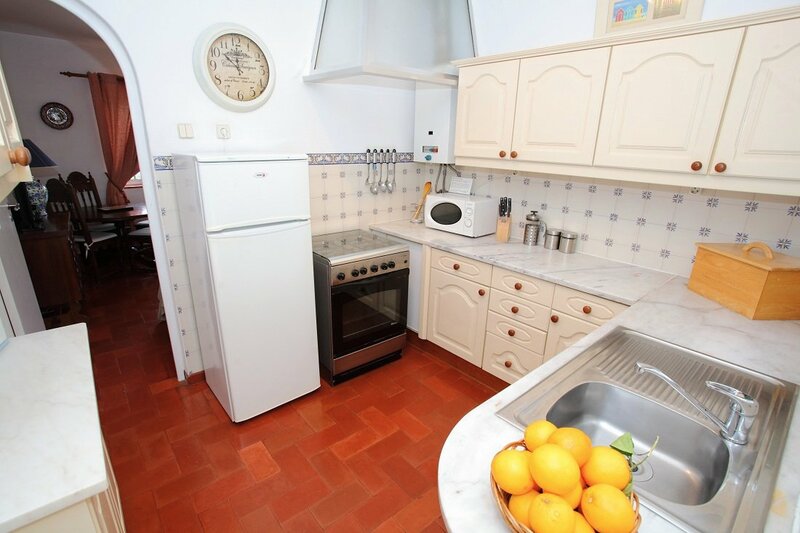 The fully fitted kitchen is well-equipped and has a microwave. 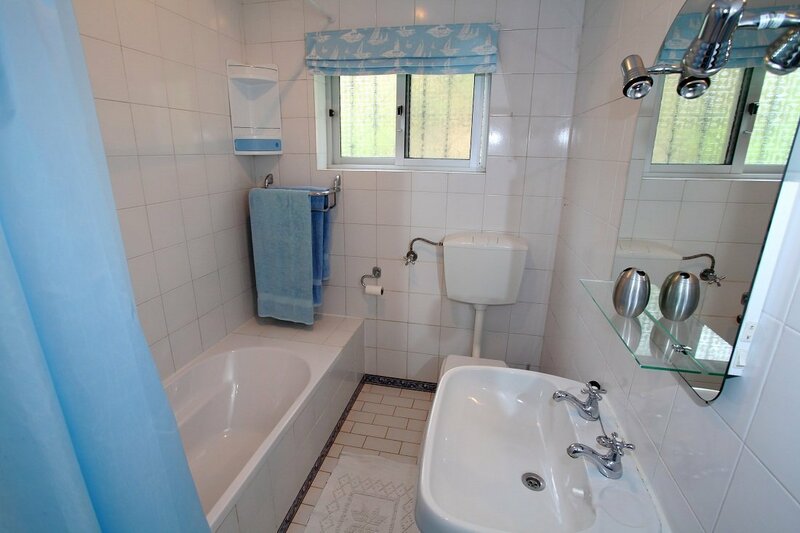 There is also a washing machine in the utility room. 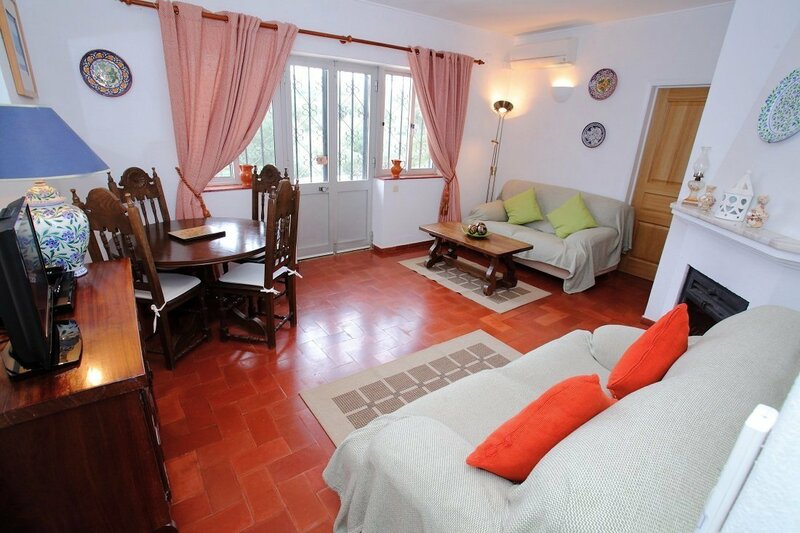 The sitting-room/dining-room has a log burning stove for the winter months and satellite television. 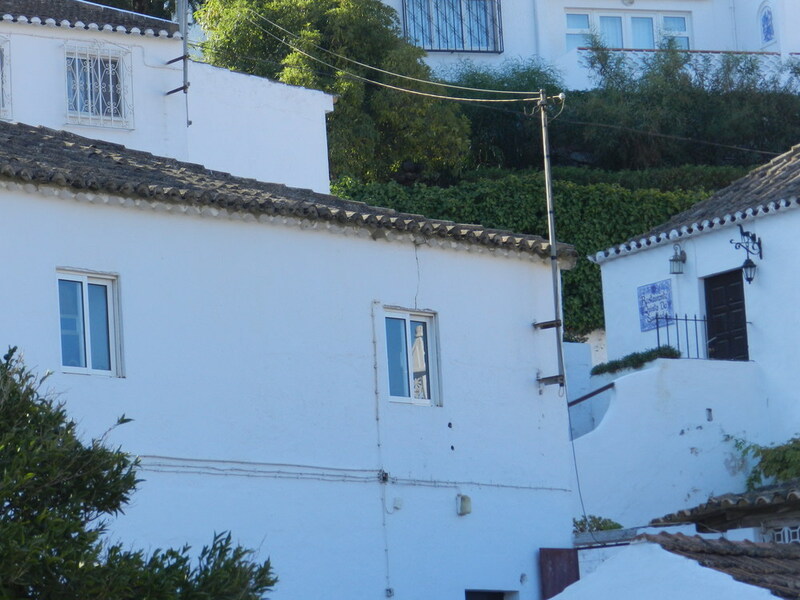 There is a doorway leading from here to a front terrace. 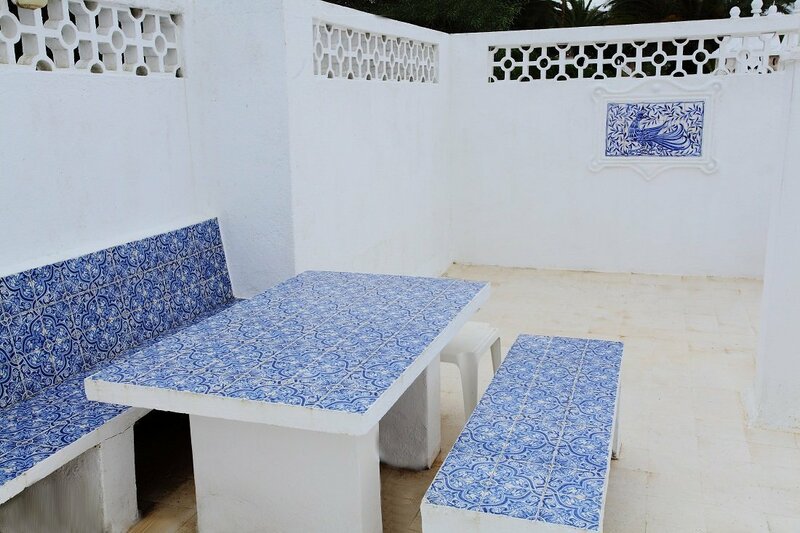 The sun terrace to the side of the villa has a built-in table and chairs with a built-in barbecue. 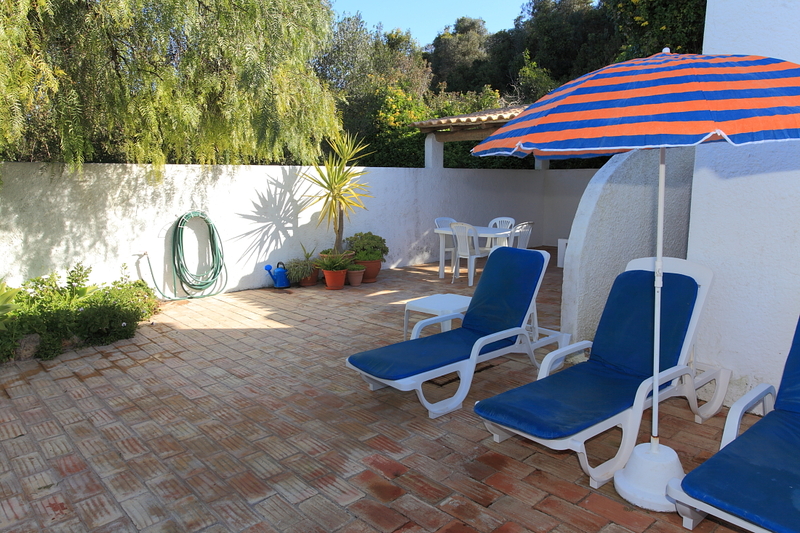 There are ample chairs and sun loungers. 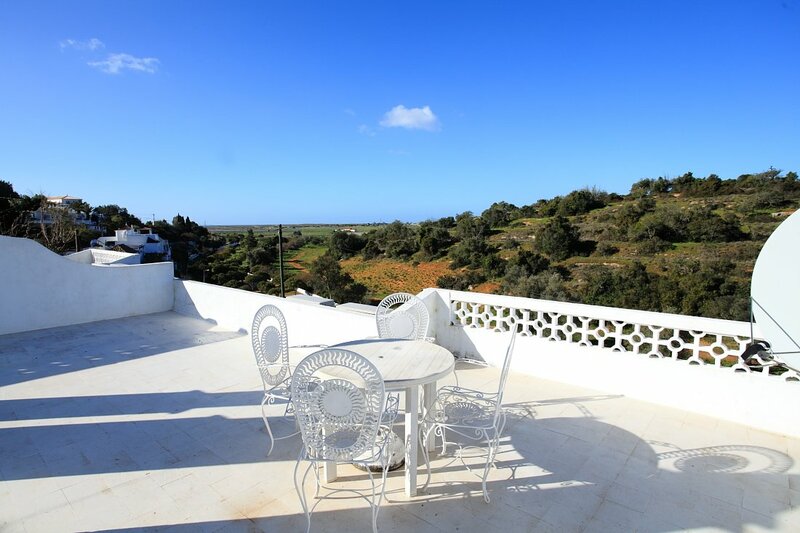 There is also a terrace on the roof that looks across open countryside towards the sea. 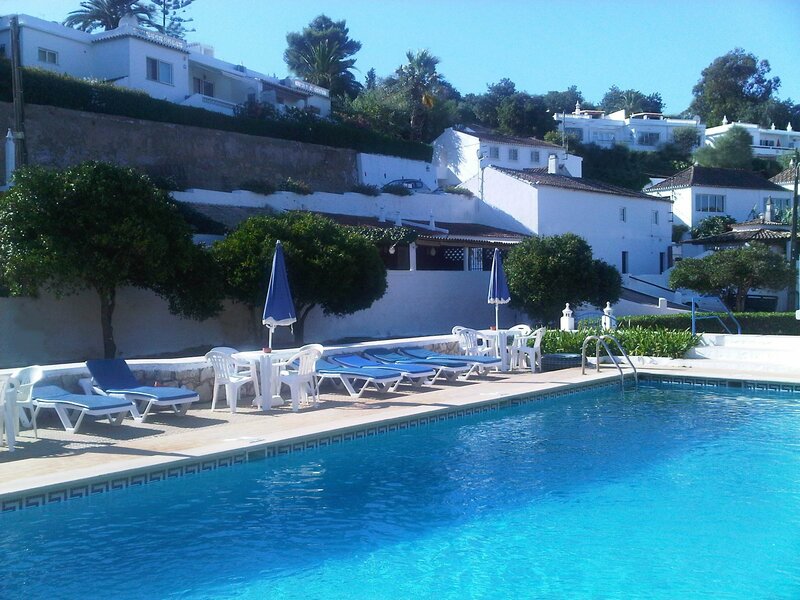 All bed linen and towels are provided, but not beach towels. 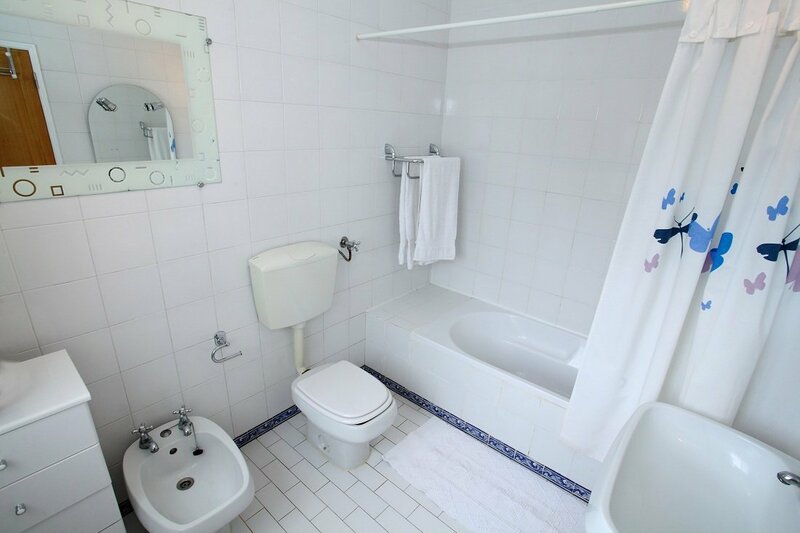 Maid service is provided during the week.